Samir Amin was an exceptionally humble person. In spite of his huge influence on younger generations, he never treated them patronizingly or with condescension. Samir did not see himself as a leader, teacher or mentor. He treated younger scholars and comrades as his equals, engaging with them and critiquing them where necessary. It was 1973. My sequel to the first essay ‘Tanzania: The Silent Class Struggle’, called ‘The class struggle continues’ (which later became Class Struggles in Tanzania) was making rounds of comrades ‘underground’ in a mimeograph form. I can’t remember if I sent it to him or somehow he got hold of it. He read it through and took time to send me his comment. As a young person half his age I was thrilled. It etched on me an everlasting impression. I had known Samir barely for two years. 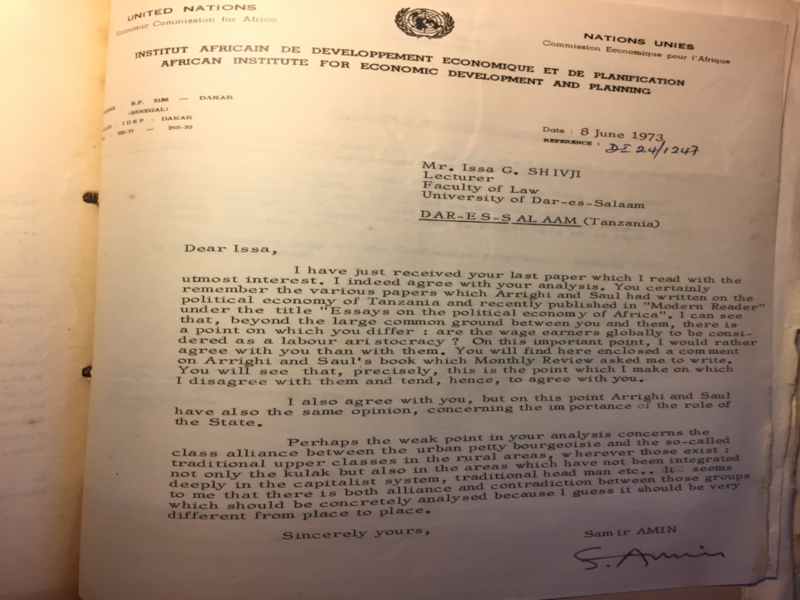 If my memory serves me right, I first met him in a workshop of the African Institute for Economic Development and Planning (IDEP) he had organised in Dar es Salaam. The fascination of listening to Samir and his colleagues was enormous. I had tried to plough through his Accumulation on World Scale but can’t claim to have understood it. Since then Samir remained a friend and a comrade, never failing to invite me although many a time I had to decline. I was among the few on the Nile cruise to celebrate his eightieth birthday. The celebration was a seminar. Every morning we would meet on the deck having read in the cabin the previous night. He was first to come, holding his partner, Isabella’s hand to help her negotiate steps, and last to leave. Isabella then was in frail health. Samir has been variously described as a scholar, intellectual, all of which he deserves but for me, more than anything else, he was a political person. Working class politics permeated his every pore. Even during the worst of times, he did not shy away from declaring himself a Marxist, openly and proudly. He stood firm, unshakeable when many of his contemporaries and younger scholars sought refuge in mainstream intellectual fashions to become celebrities. As a militant Marxist scholar, Samir Amin has two outstanding qualities. He has been consistent and passionate throughout his life in the advocacy and defence of human emancipation from the vicious capitalist and imperialist system, regardless of the changing intellectual fashions. On this, he is uncompromising. Second, he has consciously done everything possible and seized every opportunity available to provide space, forum, and a training ground for young African scholars. I said he was pre-eminently a political person. And now I can add what I couldn’t say then in the citation read from a scholarly podium. Once he had invited two of us to an IDEP workshop in Dakar. We needed to meet a comrade who was in exile then. We hesitatingly asked Samir if he could invite him also so that we could meet him. Without further ado or questions he did it! 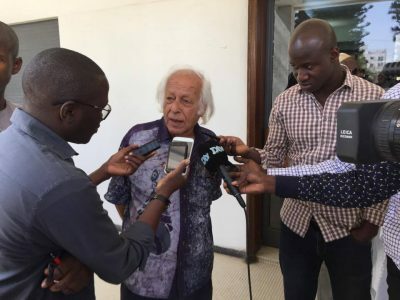 The final time I met Samir Amin was last year when he came to Dar es Salaam to give a lecture. With Bashiru Ally, then a young emerging scholar, now the Secretary General of the ruling party, we had tea at my place. Samir was smoking away his cigar, copying the PDFs of his books on a flash drive for us. Samir was not one to respect intellectual property rights!